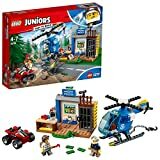 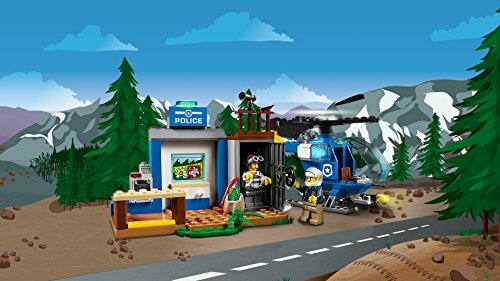 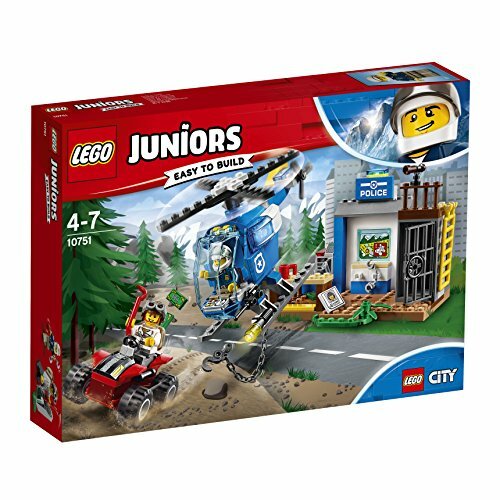 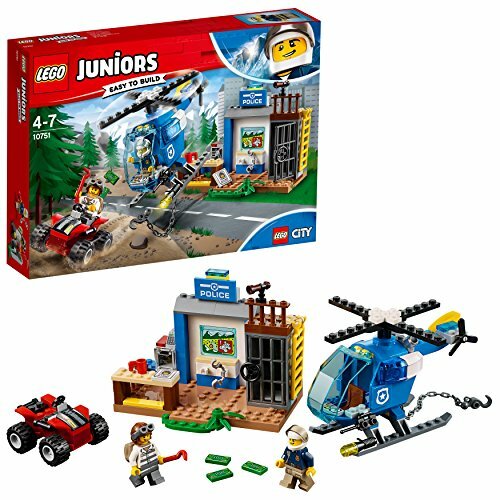 Be a hero of the LEGO City Mountain Police Force with this LEGO Juniors Mountain Police Chase 10751! 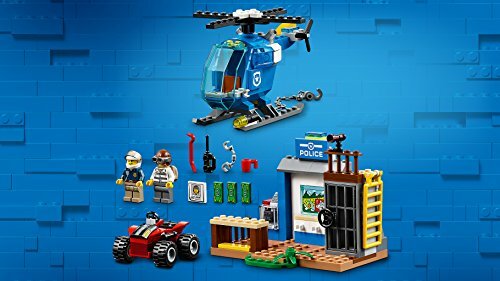 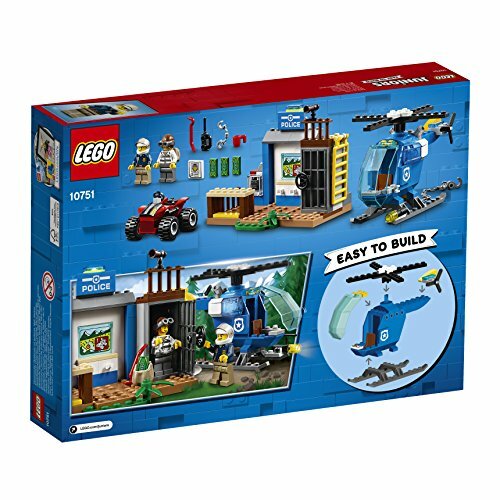 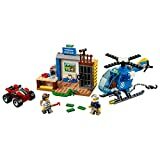 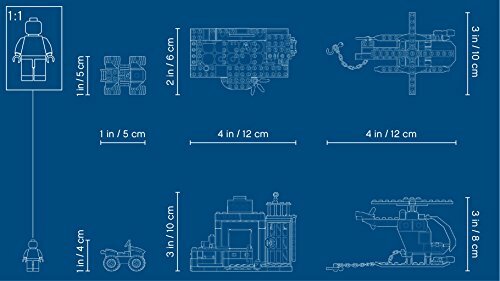 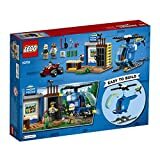 This cool toy for kids features an Easy to Build helicopter with opening minifigure cockpit, spinning rotors and a chain with hook, as well as a police station with desk, opening safe and jail cell with opening door, and a quad bike. This action-packed set also includes a simple guide to build and play, with bigger starter pieces to help build confidence in younger children.